Valentine’s Day is a perfect moment to let your loved ones know how much they mean to you and what impact they have on your life. Isn’t wonderful to make them feel special on Valentine’s Day? Gifts, chocolates and flowers are hand in glove with Valentine’s Day but what adds more spice and sweetness to this would be Valentine’s special greeting cards which will captivate your lover in one go as it is a big way to express your deep embedded emotions through beautiful words written on a greeting card. Of course you have been surfing for greeting cards and love notes to send away to your lovers on Valentine’s Day. 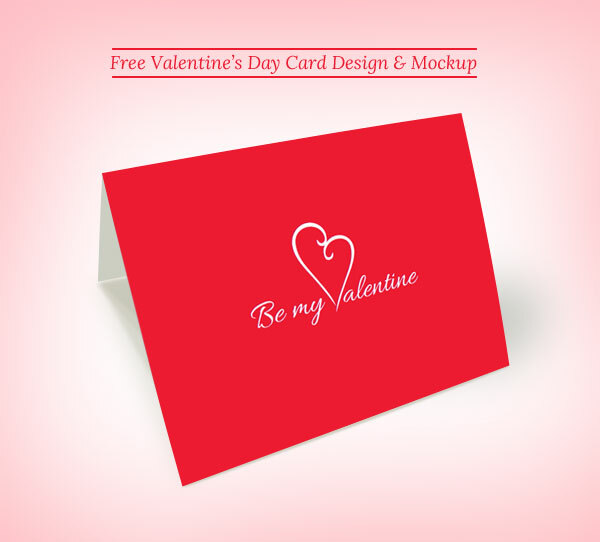 So don’t miss my today’s post which is offering a good free printable Valentine’s Day card design of 2013 & greeting card mockup as well so that you can place your own greeting card design in to this. Have a cherish-able Valentine’s Day ahead and make your lovelorn feel special.